Any experienced Oklahoma DUI Defense Attorney can tell you a DUI arrest does not equal a DUI conviction. You have the ability to fight your case and defend your driving privileges to try and avoid the stiff penalties for an Oklahoma DUI, which includes difficult probation, heavy fines, driver’s license suspension, and potential jail time. In order to fight your case, you need a strong defense. Are police trained to look for specific signs of drunk driving? Driving ten miles per hour under the posted speed limit. What signs of intoxication during police look for during DUI investigation? Is there a difference between a DUI and DWI in Oklahoma? Yes, DUI stands for driving under the influence and only applies to driving under the influence with a blood alcohol concentration (“BAC”) of .08 or higher. DWI, stands for driving while impaired and is a less serious offense than a DUI. DWI applies to driving with a BAC above .05, and below .08. What should I say, if stopped for DUI? Never admit your guilt. You have a constitutional right against self-incrimination, exercise it! You cannot and should not attempt to negotiate your way out of being arrested; this will only lead to more evidence against you. Be respectful, be polite, and ask to speak to an attorney before answering questions. The Fourth Amendment to the U.S. Constitution prohibits all unreasonable searches and seizures. A traffic stop is a seizure for Fourth Amendment purposes. In most instances a police officer must have “reasonable articulable suspicion” of a crime in order to legally stop a vehicle. However, in DUI checkpoints law enforcement stops every vehicle. The Supreme Court has determined in the limited confines of a brief DUI checkpoint the lack of a reasonable suspicion does not violate the Fourth Amendment due to the importance of protecting the public from impaired drivers. In Michigan Department of State Police v. Sitz, 496 U.S. 444 (1990). The Supreme Courts exception to the reasonable suspicion requirement does not give police unlimited power during DUI checkpoints. A sobriety checkpoint may be unlawful, if police go beyond what is reasonably necessary to determine, if the driver is intoxicated or if your vehicle is searched without additional evidence of a criminal act. The legality of a DUI checkpoint depends greatly on the totality of the circumstances in your case. What can my Field Sobriety Test performance be affected by besides alcohol? There are many factors that affect performance on Field Sobriety Tests (“FSTs”) other than alcohol. Some of the most common factors affecting FST performance include: fatigue, sickness, wind, other weather conditions, vision impairment or wearing glasses, lack of coordination, issues balancing, improper footwear, flashing police lights, cars rushing by test location, headlights of other vehicles, and an uneven surface. The National Highway Traffic Safety Administration has stated even sober drivers can perform poorly on FST in the wrong conditions. FST can be an indicator of intoxication in the right environment if performed by a properly trained law enforcement officer that is following the specific procedure and protocol for FST. However, as discussed above, the number of factors that can contribute to an poor testing environment are plentiful. Further, the National Highway Traffic Safety Administration has determined the three tests administered as part of FST are not completely accurate. In fact, the Horizontal Gaze Nystagmus (“HGN”) test is accurate roughly 75% of the time. The One-Leg Stand (“OLS”) test is accurate 65% of the time. The Walk-and-Turn (“WAT”) test is accurately roughly 68% of the time. This concerning percentages of accurate are based upon the tests being performed in the prescribed manner under strict protocols. Any abnormality in the testing will reduce the accuracy of the test even further. Should I refuse to take Field Sobriety Tests? Yes, you have a legal right to refuse to perform Field Sobriety Tests and you should exercise that right. You have the right to an attorney and should request the opportunity to speak to a DUI defense attorney prior to conducting any tests. Additionally, you may ask the law enforcement officer, if the tests are completely accurate or whether you are required to take the tests? Your refusal to take Field Sobriety Tests may result in you being arrested for DUI in Oklahoma; however, if you do not perform well on the Field Sobriety Tests based on the subjective opinion of the officer, you will still be arrested. Unfortunately, under Oklahoma’s “implied consent laws” your driver’s license will be seized immediately, if you refuse to take a state breath, blood, or other alcohol test. Additionally, you will receive a 180 day to three-year driver’s license suspension. In your criminal case, the prosecution will be able to use the fact you refused to test; however, they will not have the evidence of field sobriety testing. You can learn more at our Driver’s License Revocation page. What is Breath Testing in Oklahoma? Breath Testing in Oklahoma consists of you blowing into a device that measures the alcohol content in your lungs. In Oklahoma, the Intoxilyzer company’s product is used to determine BAC by breath testing. There are many versions of Intoxilyzer products, including the device used in the field by law enforcement officers as well as a larger model, which is kept at police stations and sheriff departments. How accurate is Breath Testing for determining BAC? Only air from the lowest portion of your lungs can render an accurate BAC percentage. This air is called alveolar breath. Unfortunately, in many cases, the air tested by an Intoxilyzer comes from the air in your mouth, which contains “mouth alcohol” or the actual alcohol still in your mouth. Mouth alcohol returns inaccurately high results as it contains the alcohol in your blood, which you are releasing by breathing as well as actual alcohol still in your mouth. The intoxilyzer machine relies on a flawed premise, every person has the same blood-breath ration of 2100/1. This number represents 2,100 units of alcohol in your breath equals one unit of alcohol in your actual blood stream. However, no two humans are identical and this over simplification of human anatomy and physiology may result in your being wrongly charged with DUI. Should I refuse the State’s Chemical Test? Unfortunately, the answer to this question is two-fold with one answer relating to you driver’s license and the other relating to your criminal case. Regarding your driver’s license, you should not refuse the chemical test or “breath test” in Oklahoma. Refusing to take the chemical test or a BAC of .15% or higher on a first-time DUI will result in the Department of Public Safety requiring you to install an interlock device on your vehicle for an additional 18 months, after your license is reinstated. Regarding your criminal case, if you have prior DUI offenses then you should refuse the chemical test, unless you are confident you will pass. Even on a first-time DUI arrest, a BAC of .15% or more will increase the likelihood your case is presented to the District Attorney instead of the city attorney’s office for prosecution. State charges are inherently more serious than municipal charges. Prosecutors have discretion to file charges at the state or municipal level in most instances; you should not increase the likelihood charges are filed at the state level, if you can avoid it. Immediately, after submitting to a chemical test, usually a breath test, you should request a blood draw to test your current blood alcohol content (“BAC”). You should insist the officer conduct a blood test, but do not become combative. Is the DPS Driver’s License Hearing separate from my Criminal Case? Yes, every DUI case in Oklahoma involves at least two cases: your criminal DUI case, which will be conducted in state or municipal court & your DPS driver’s license action, which is a civil matter concerning your privilege to drive. In your criminal DUI case the government, through the prosecution, seeks to prove your guilt of DUI or APC beyond a reasonable doubt to a judge or jury in order to hold you accountable and punish you by jail time, a fine, and probation conditions. Your DUI criminal case involves multiple steps that must be carefully followed in order to protect your rights and your freedom. In you DPS driver’s license case, the government is seeking to impact or withdraw your driving privilege. Your driver’s license case is handled by a separate entity than your criminal case, the Department of Public Safety (“DPS”). Your civil DPS driver’s license case consists of an administrative driver’s license suspension hearing in which the Oklahoma Board of Tests (“BOT”) rules are evaluated to determine whether the arresting officer complied with the BOT requirements. Your driving privileges will be reinstated without interlock or other conditions, if the BOT rules were not strictly followed during your standardized field sobriety test or blood testing. You must submit your request to DPS within fifteen (15) days of your arrest in order to exercise your right to the administrative hearing process to attempt to save your license. You cannot request, nor will you be granted, an administrative hearing to attempt to save your driving privileges, if your request is made more than fifteen (15) days after your DUI arrest. Without the request, your driver’s license will be revoked automatically 30 days after your arrest for at least 180 days, half a year. You can learn more details on our 15 Day Rule with DPS page. Ignition interlock devices are installed on your vehicle and detect alcohol in the breath of a driver. When installed on a vehicle, the ignition interlock must be used prior to the ignition starting the engine. A vehicle with an interlock device will not start, if the device detects more alcohol than the programmed limit. Unless your full driving privileges are reinstated after a successful administration hearing, you will be required to have an ignition interlock device on your vehicle for some period of time with any DUI in Oklahoma. Anyone with a license suspended by DPS will required to install this device for some period of time. You can find the specific details on our Driver’s License Revocation page. 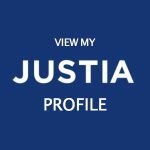 Will my DUI go to jury trial? You have a constitutional right to a jury trial on a DUI case; however, this is not always the best choice for your case. Every DUI case is different: the facts, circumstances, officers, relevant legal issues, and may other factors must be considered prior to deciding if going to trial is the best option in your case. A detailed evaluation of your case will allow your chosen experienced DUI defense attorney to advise you on your best option. It is important to hire an attorney experienced in trial and willing to take your case all the way, if you want to fight your case. Is it possible to win a DUI jury trial? Yes, with the proper defense, an advocate to tell your story, and by exposing A Reasonable Doubt in the prosecution’s case you can win your DUI case at jury trial. Your chosen DUI defense lawyer will obtain all the evidence available in your case, even evidence not provided by the prosecution, to ensure you present the best defense possible. Many defenses are used in DUI trial; however, one of the most common is the innocent explanation of outward signs of “intoxication” and the officer’s failure to properly conduct field sobriety tests in accordance with the Board of Tests rules. Yes, a first offense DUI carries ten days in jail up to a maximum of one year in jail. Additionally, second or subsequent DUI cases carry prison time in Oklahoma. You can avoid serving any jail time with the right approach to handling your DUI. You should hire an attorney to help you through the process of facing a DUI. How can a DUI defense lawyer help me? DUI defense is one of the most complex aspects of criminal defense. DUI cases involve complex and specialized law, forensics, and human physiology. DUI traffic stops implicate particular protections under the Fourth Amendment, which require detailed analysis of the facts and the applicable law. It is important to hire an experienced DUI defense attorney that is knowledgeable in the specific laws and rules that apply in Oklahoma DUI criminal cases as well as DPS driver’s license civil proceedings. Feel free to contact our firm for a free confidential consultation, if you have additional questions about your DUI or APC case. Your driver’s license, your future, and your freedom depend on experienced DUI defense. Contact Cannon Law Firm today if you have been charged with DUI, AP, Aggravated DUI, DWI, or DUI under 21 in Oklahoma. 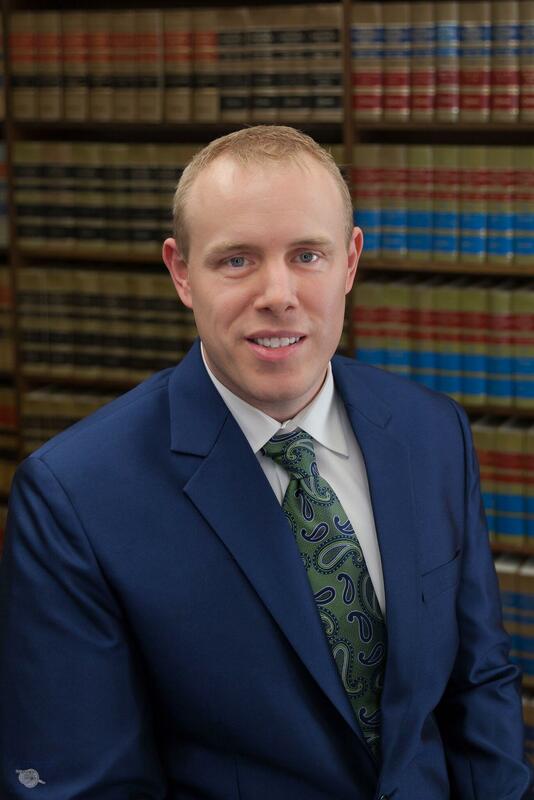 Cannon Law Firm has an outstanding record of reaching the best possible outcome for hundreds of clients accused of the wide variety of criminal charges in Oklahoma, including DUI, evidenced by John receiving the highest possible AVVO rating – 10 (superb). 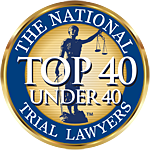 Call our office at (405) 888-7369 for a free confidential consultation and case evaluation.